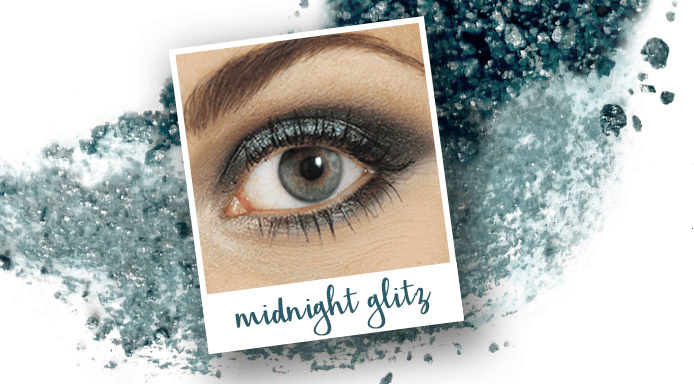 Created by Global Corporate Educator, Ami Mallon, I am excited to share Osmosis Colour Mineral Cosmetics’ “Midnight Glitz” makeup tutorial. Featuring a perfectly contoured complexion and a smokey sparkle, please find the step-by-step guide below. 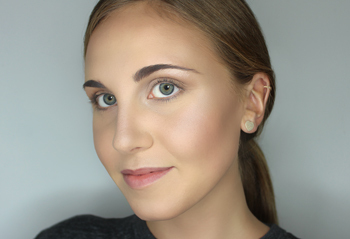 Using the Angled Blush Brush and the contour shade from the Lustrous Contour Duo, create a thin line from the center of the ear under the cheekbone down to the middle of the brow. 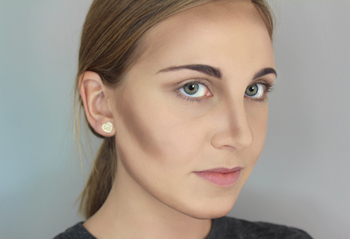 Use the same shade to trace under the jawline and blend down to your neck. Then, bring this same shade from the temple across the forehead and blend. With the Medium Accent Brush and the highlighting shade from the Lustrous Contour Duo, lightly sweep the high points of your face such as the tops of your cheekbones, bridge of your nose, under the brow bone, and the cupid’s bow to accent your best features. Prep the eyes by blending a small amount of the Age Defying Treatment Concealer with the Concealer Brush. Using the Blender Brush, sweep the darker shade from the Lustrous Contour Duo into your crease to create definition. 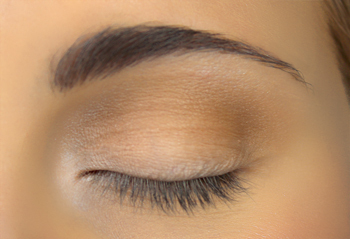 Apply the Black Eye Pencil on your lid from lash line to crease. Don’t worry about precision in this step, we’ll be blending it in the next! 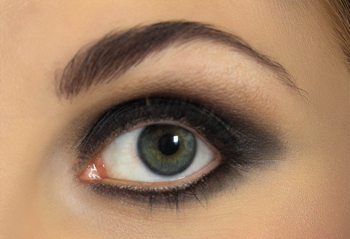 Blend the Black Eye Pencil using the Contour Shadow Brush. 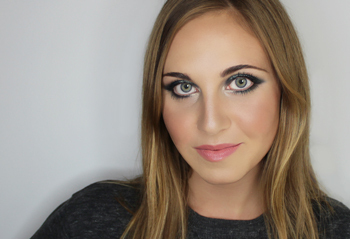 TIP: Our Eye Pencils are long-wear and will set quickly, so get to blending as soon as you can! Then, apply Black Eye Pencil to your lower lash line and blend under your eye using the smudge brush at the end of the Eye Pencil for a natural smokey look. Using your finger or our Smudge Brush, dab Azure Water Color onto the center of your lid and blend into your crease and outwards. Take the same Smudge Brush and apply a small amount of Azure Water Color to the center of the lower lash line to make the eye look larger. With your finger or a clean Smudge Brush, dab a small amount of Opal Water Color in your tear duct area as well as under your brow to brighten and highlight! 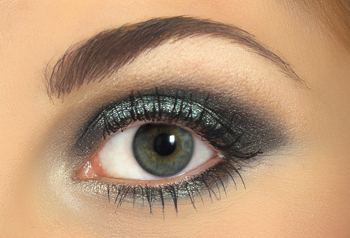 Then, apply several coats of the Volumizing Mascara to complete the eye look. 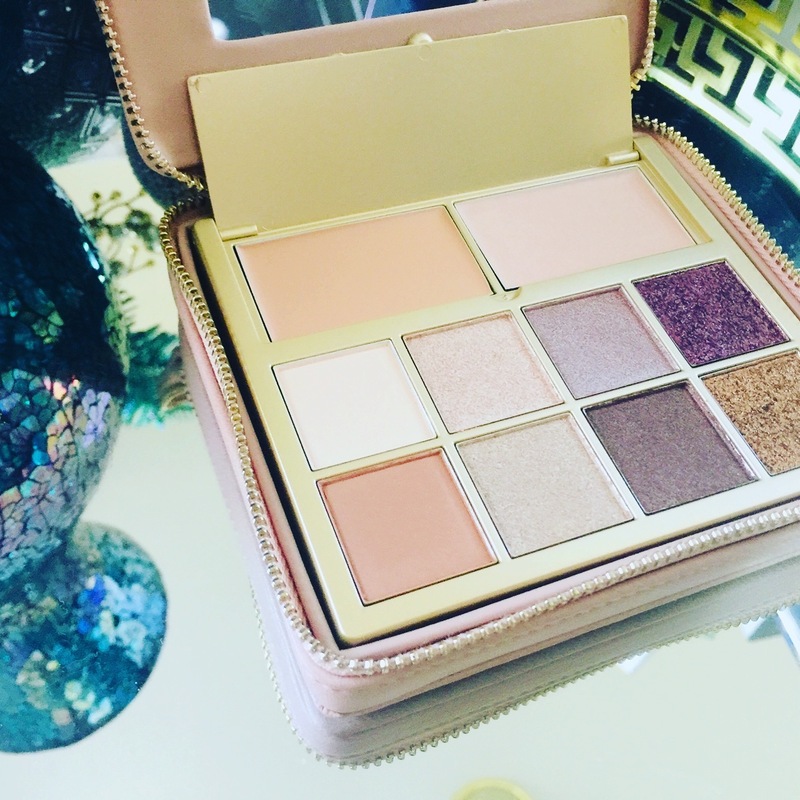 Pair with your favorite lip and cheek! We went with a soft, pink lippie using our First Kiss Lipstick topped with Flirt Lip Glaze and added a pop of color to the cheeks with one of our favorite blushes, Pink Pearl. 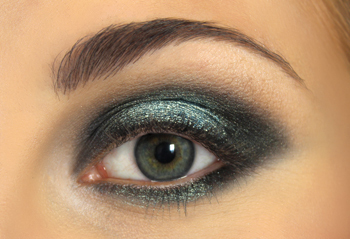 Did you try this look? Let me know in the comments how it went! I love hearing from you!